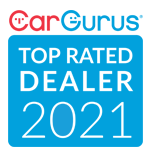 The staff at Bespoke Auto Gallery have been in the automotive industry for over 20 years - with over 10 years of purchasing vehicles for franchise dealerships. We may not be the biggest used car dealership in the GTA, but we proudly stand behind all the vehicles that we sell. We believe in selling clean and reliable cars to our customers – after all, our customers are the key to our success!